Enter a 17-digit VIN above to look up a full vehicle history report, which includes thefts, recalls, accidents, sales, titles, specifications, and more. This information is compiled by VinCheck.info from official government sources and made public as a free, informational resource. FCA US has recalled different Jeep models in the past for at least 788 times for various safety issues. The Jeep Grand Cherokee, the most recalled model, has been recalled 232 times over 25 years. One of the recent recalls involved Jeep vehicles with driver and/or passenger air bag inflators manufactured by Takata Corporation. 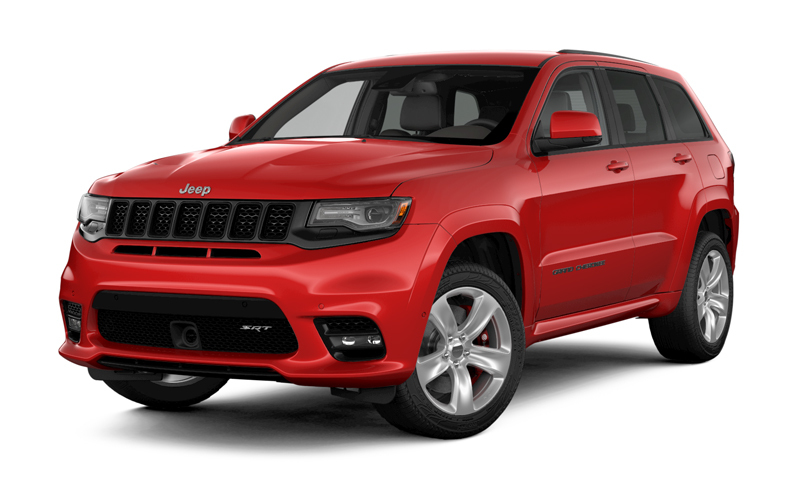 To see if your vehicle is currently included in one of these safety recalls, you can either get a free VIN check above or visit the official Jeep Owner’s website below. If your vehicle has been affected, you can contact your Jeep Dealership to inquire about part availability, and have your vehicle repaired. If you require assistance in scheduling an appointment for a free Takata airbag inflator recall repair, please call 866-220-6765. Jeep is an American automobile brand owned by Fiat Chrysler Automobiles NV (abbreviated as FCA), the seventh-largest automobile manufacturer in the world. The Jeep division (headquartered in Toledo, Ohio) operates through FCA’s wholly owned subsidiary, FCA US LLC. The Jeep started as a four-wheel-drive vehicle which was used by the United States Armed Forces in World War II. It was so widely popular that “Jeep” became the generic term for vehicles, including trucks, with rough-road capabilities. The registered trademark known as Jeep was awarded in June 1950 to Willys-Overland, the only company that persisted in manufacturing Jeep vehicles after the war. Over the years, Jeep has built a reputation of producing sport utility vehicles (SUV) known for their off-terrain prowess. Jeep Wrangler was named as one of the Most Iconic Cars of the Last 20 Years by Business Week magazine in 2009. Kelley Blue Book also recognized the Jeep Wrangler for several years for having the best resale value and being one of the models to hold its value. In 2004, Jeep launched its special “Trail Rated” badge for specific Jeep vehicles that passed testing by Nevada Automotive Test Center (NATC) for traction, ground clearance, articulation, maneuverability, and water fording. U.S. News & World Report’s list of the best used Jeep models to buy includes Jeep Grand Cherokee, Jeep Wrangler, Jeep Cherokee, Jeep Patriot, and Jeep Renegade. The word “Jeep” was first used in 1914 by US Army mechanics to refer to tractors. The most popular theory about its origin is that it was the slurred version of the acronym, GP, for General Purpose or Government Purpose. In 1941, Willys-Overland conducted a test drive up the steps of the United States Capitol to demonstrate a Jeep vehicle’s off-road capability. Why should I run a Jeep VIN Check? Check for thefts. Look up a VIN to check for an active theft or previously recovered theft record.